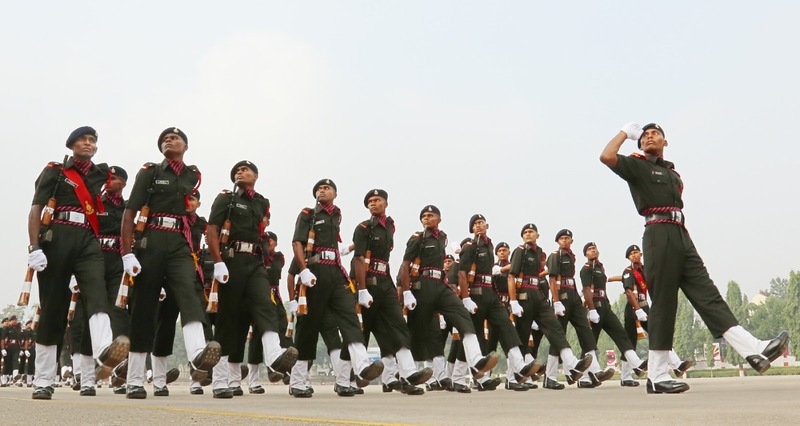 Commandant, AOC Centre reviewed the spectacular parade and felicitated the best soldiers. The smartly turned out parade was commanded by Soldier Badruddin Ali Ahmed who also received the Commandant’s medal for best recruit (Drill). 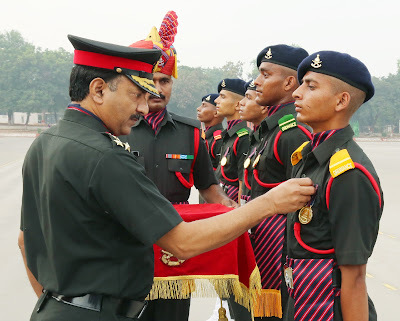 The coveted Brigadier SS Brar medal for most talented recruit and Commandant’s medal for best recruit (Firing) were bagged by Soldier Dharmendra Kumar. 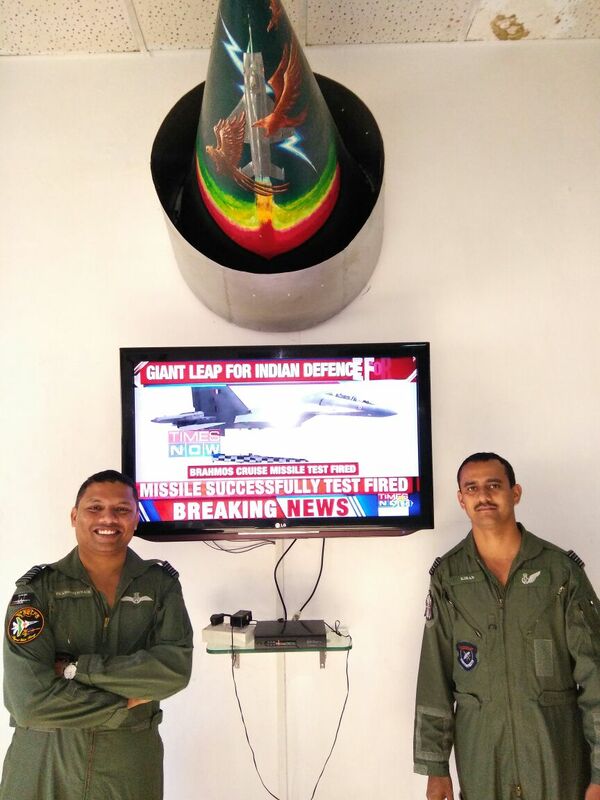 Commandant’s medal for best recruit (Sportsman) was awarded to Soldier Pankaj Rawat and Soldier Ankit Chokiyal was adjudged the best recruit in Endurance & BPET. Addressing the parade, the reviewing officer, Brigadier PK Sharma congratulated the soldiers on their successful completion of training and said that it is time to utilize what the soldiers had learnt during the training at the Centre to serve the nation. 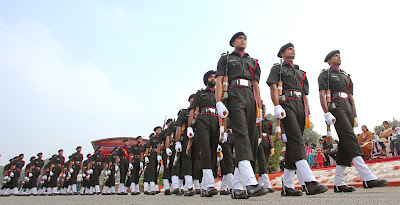 A masterly display of drill movements synchronized with the accompanied band conducted in blossoming marigold flower beds made long-lasting memories for the students of Army Public School, RK Puram who also witnessed the parade along with the Officers, Junior Commissioned Officers, Other Ranks and their families. 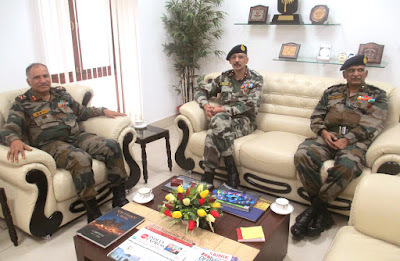 Brigadier Vivekanand has taken over the Command of Military Hospital Secunderabad from Brigadier K Satyanand yesterday. Brigadier K Satyanand was transferred to the Command Hospital, Pune as Consultant (Medicine). Brigadier Vivekanand is a post graduate of the Armed Forces Medical College (AFMC) Pune and was a Professor of Anesthesiology at the same college prior to the present assignment. Both the incoming and outgoing Commandants called on the GOC of Telangana and Andhra Sub Area Major General N Srinivas Rao. GOC congratulated the new Commandant and wished him a professionally successful tenure. They also discussed issues pertaining to improvement of infrastructure in MH and enhanced availability of medicines in the ECHS polyclinics across the states of Telangana and Andhra Pradesh. In a glittering opening ceremony at Vladivostok, Russia this morning Indian Task Force Commander Maj Gen ND Prasad and Chief of Staff, Eastern Military District of the Russian Federation Lt Gen Solomatin declared the tri-service Exercise INDRA 2017 open. The opening ceremony witnessed Maj Gen ND Prasad and Lt Gen Solomatin inspecting the smartly turned out contingents, which was followed by a march past by the tri-service contingents of both sides. The opening ceremony also witnessed an astounding display of traditional martial arts and folk dances by the Indian troops and a flypast by four fighter aircraft of Russian Federation Air Force. 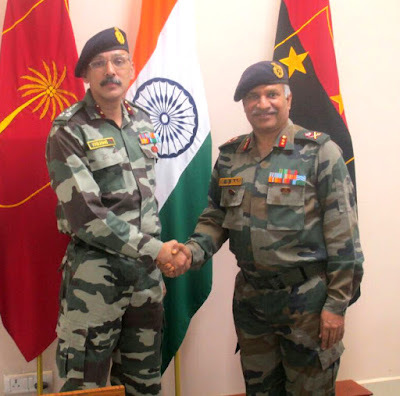 In his opening address, Maj Gen ND Prasad, the Indian Task Force Commander said that the initiative taken for the first ever tri-service exercise between both countries reflects the vibrancy of the continued Indo-Russian strategic partnership and that with the rich operational experience of both Russian and Indian armies in counter insurgency operations, both sides will gain immensely from each other and further develop their capabilities. Lt Gen Solomatin, Chief of Staff, Eastern Military District of the Russian Federation stated that the tri-service exercise will further strengthen the relationship between the two defence forces and lead to enhanced mutual cooperation between the two great countries. Lt Gen JS Negi, leader of the tri-services Observer delegation, during his media interaction, said that the conduct of the first ever tri-service exercise between the two countries is a significant step in mutual cooperation and marks an important milestone in the 70th anniversary of diplomatic relations between the two countries. He expressed his confidence that the joint training between the two defence forces over the next ten days will result in gaining from the experience and best practices of each other and would further enhance mutual confidence.